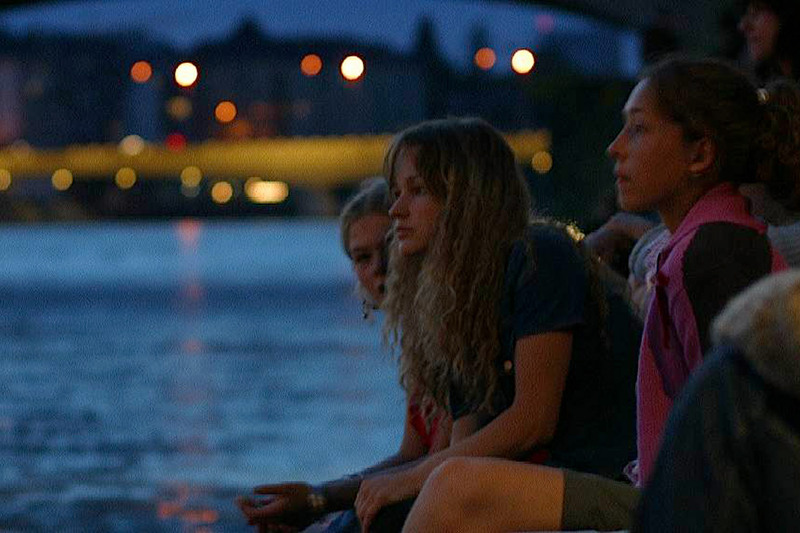 Imfluss, having the ambiguous meanings of “in the river” and “being in transformation”, is the vision of a culturally attractive and creative space on the riverbanks of Swiss cities. 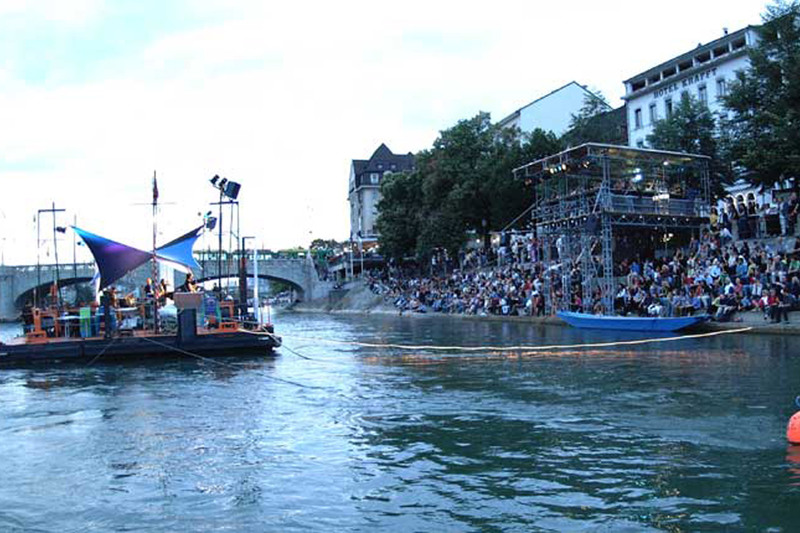 This idea, created and initially started in Basel by an individual named Tino Krattiger, sets signals for an open mind, building a bridge for the dialogue of music and culture within countries and its neighbors. 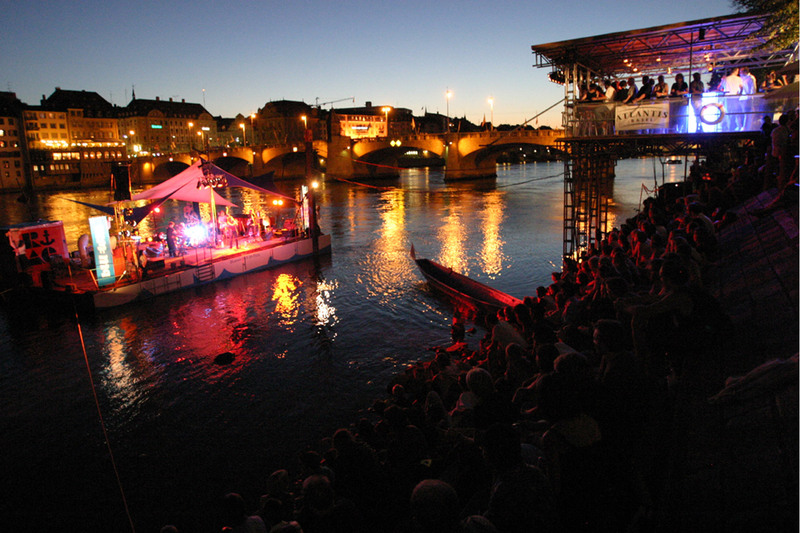 The floating stage – a platform for various talents, artists and cultures. 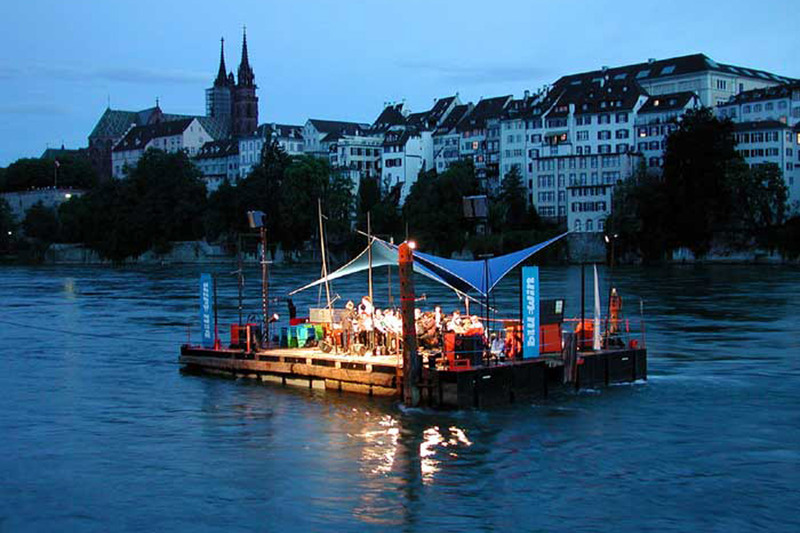 The romantic project site is the north bank of the river Rhine in Basel. The location offers breathtaking views of the midieval city line of Basel and the Muenster of Basel, a cathedral with origins going back to the 12th century. 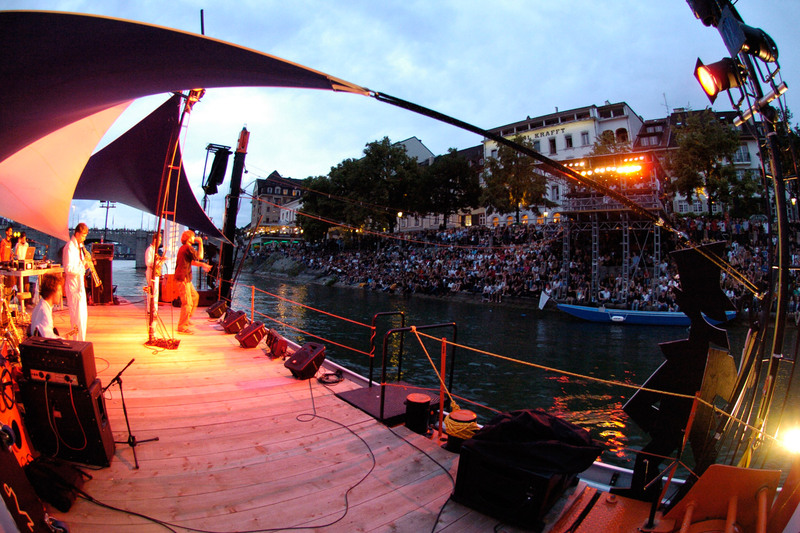 During a number of weeks in the summer a floating stage is being installed about ten meters from the shore, complete with pro level sound and light equipment, serving as a platform for performing bands and musicians. The audience – up to a couple of thousand people per night – sits on the shore and enjoys the sights and the sounds for free admission – the entire event is sponsored by one of Switzerland’s largest internet service providers. Summer stage performances have included a number of high profile Swiss bands, such as the Lazy Poker Blues Band, Slimboy, Stiller Has, Sapphire and Claudia Bettinaglio, and world-music acts such as the Transsylvanians (Hungary), Trio Avodah and Gilad Atzmon. 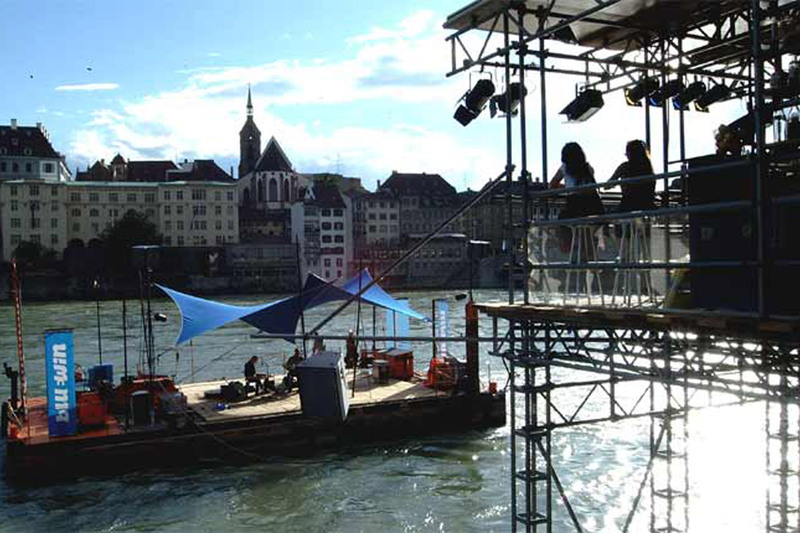 The project’s specific character requires two different acoustical analysis steps:(A) Making sure that the sound in the audience area is of high quality, appropriate level and wide enough coverage, but (B) Simultaneously, not all Basel inhabitants are in favor of these summer activities and feel themselves bothered by the extra noise that is generated by the event. 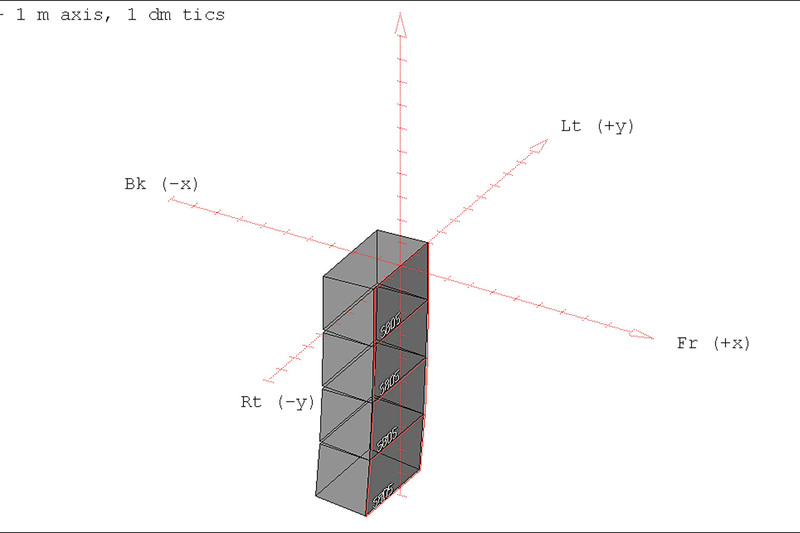 So – the solution for (A) must make sure that noise levels are concentrated at the audience area and that spilled sound is by all means minimized. 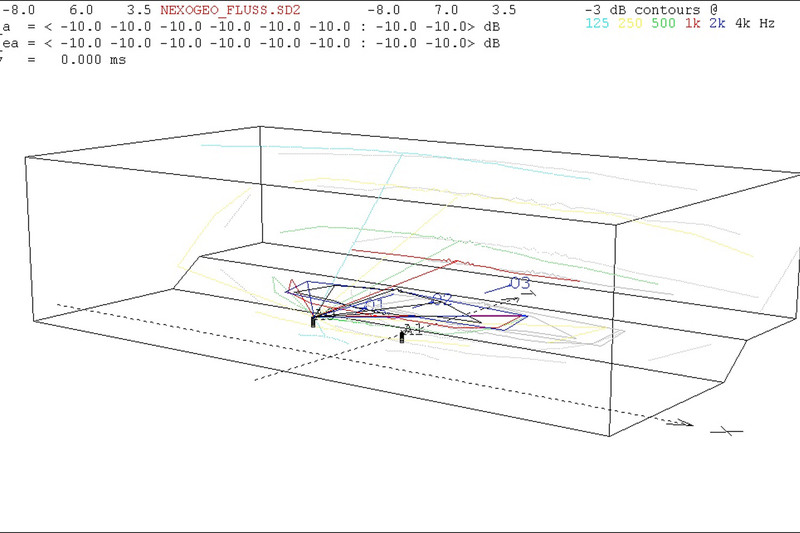 Acoustical analysis of the project site resulted in a computer model that could be used as a test field without actually having to build the system. After a number of simulations WSDG specified a brand new NEXO Geo-S system in close collaboration with the local sound contractor Sound Pool.